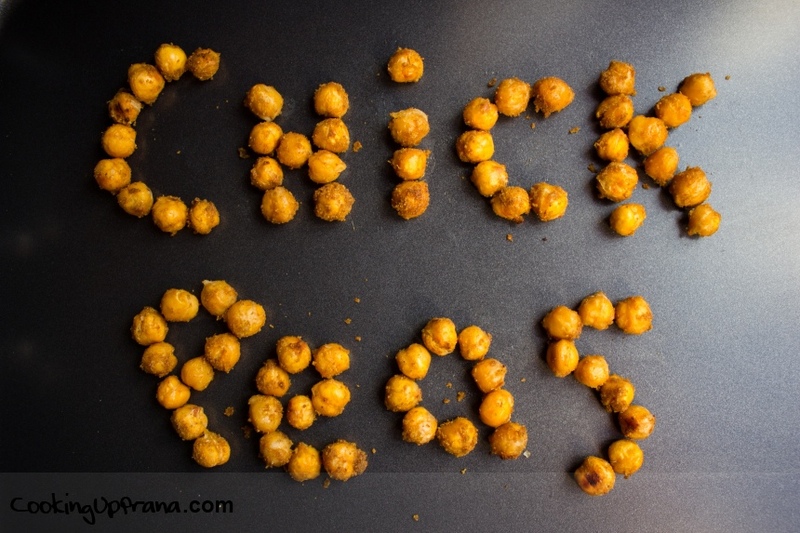 Roasted chickpeas are an ideal savory snack. 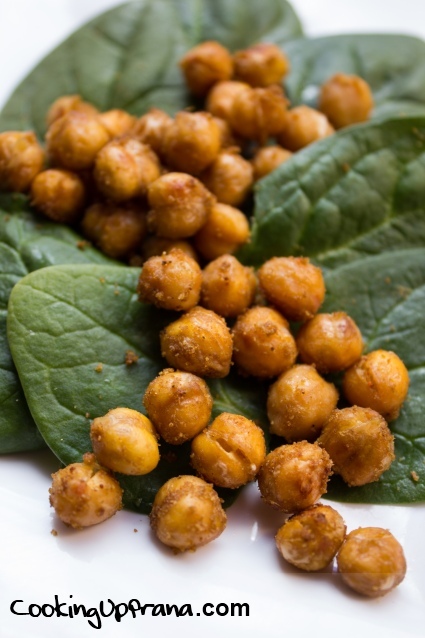 Chickpeas are an excellent source of folate, zinc, and protein. They are high in dietary fiber (known to help reduce cholesterol) and are a good source of healthy carbohydrates. 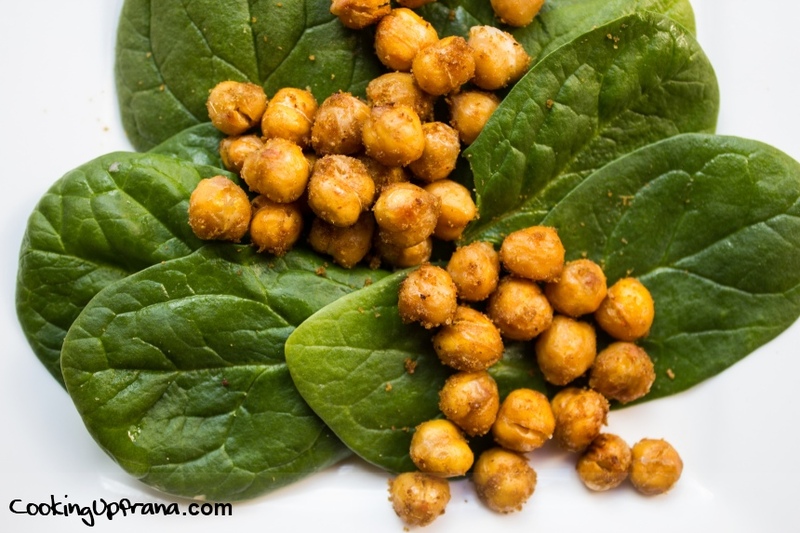 To turn this snack into a simple side salad top some fresh baby spinach leaves with the toasted chickpeass, perhaps a bit of sunflower oil, and serve. 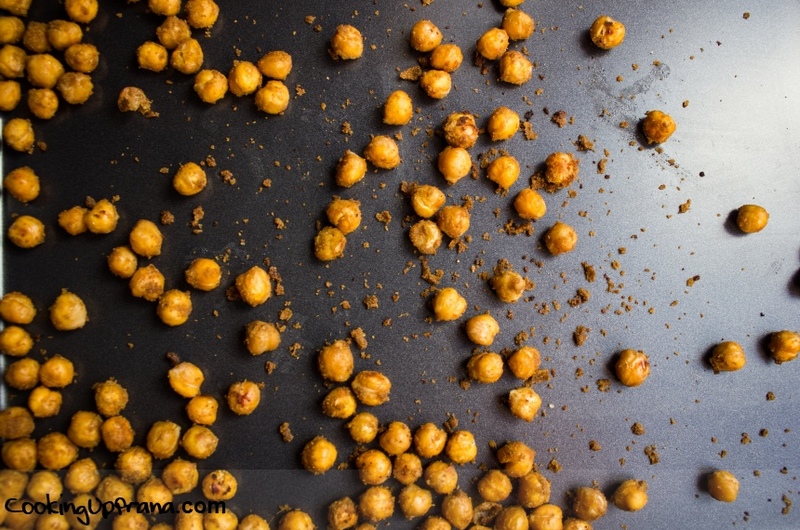 Place in a bowl and mix with sunflower oil or ghee until evenly coated. Add cayenne, turmeric, cumin and salt. Mix well until evenly coated. Place evenly on a baking tray. Roast for 35 minutes, mixing every 15 minutes until they are golden and crunchy. 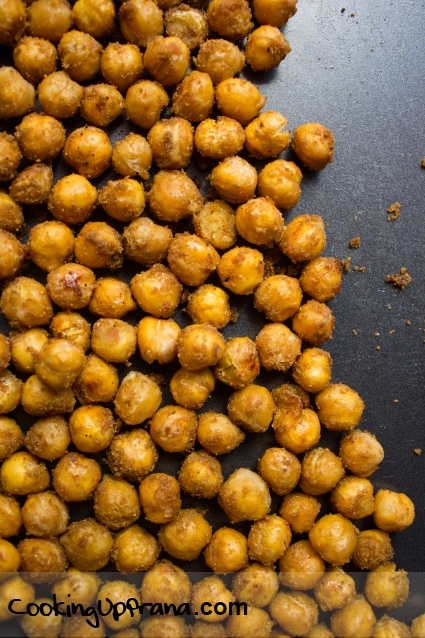 It may take up to 50 minutes depending on how dry and crunchy you want them to be.